Did you know that you can enter Machu Picchu in two shifts: the morning shift starting at 6 am and the afternoon shift starting at noon. How to handle the schedules and not miss anything in Machu Picchu? Afternoon shift – from 12 p.m. to 5.30 p.m. There are 2,500 tickets available in each of the shifts. You can stay for 4 hours from your time of entry. We recommend you to enter very early according to the turn you choose. There are 200 tickets available for each of the groups.. If you want to not miss anything, we advise you to enter as early as possible. Machu Picchu opens at 6 am. This ticket has 200 tickets available in each of the groups. The departure time is until 1 pm in group 1 and until 2 pm in group 2. It is a good idea to book this ticket 4 months before. It is the fastest one that runs out in the Inca City. Only people older than 12 years old can access the Wayna Picchu. The entrance to the Machu Picchu mountain is in 2 different schedules. It’s a tired walk. However, the views 600 meters above the Inca City are spectacular. Group 1 – income of 7 a.m. at 8 a.m.
Group 2 – income of 9 a.m. at 10 a.m. There are 400 tickets available in each of the shifts. It is advisable to enter as soon as possible the Inca City of Machu Picchu (open from 6 am) So you will make the most of your time. You can only stay in the Inca City until 2 pm (group 1) and 3 pm (group 2). You can visit this mountain in the company of family and friends. There are no age limits. The museum of Machu Picchu will give you a broad panorama about the history of the Inca City. The entrance includes the visit for the Wonder of the World. The museum is open from 9 a.m. until 4.30 p.m. If you book this entry, you will receive two tickets in your inbox. One to enter the Site Museum. The other to access the Inca City. You can enter Machu Picchu first and then the museum. Or if you prefer to do it the other way around. Everything depends on the shift you choose to visit the Inca City. 1 p.m. a 3 p.m. – Enter Machu Picchu and take the tour accompanied by a guide. 3 p.m. a 5 p.m. – Visit the Inca site on your own and appreciate the sunset. How to handle the schedules in Huayna Picchu? 6 a.m. a 7 a.m. – Enter Machu Picchu and appreciate the sunrise. 7 a.m. a 10 a.m. – Tour Huayna Picchu. 10 a.m. a 12 a.m. – Tour the Inca City accompanied by a guide. 12 a.m. a 1 p.m. – Walk and enjoy the Inca site on your own. 6 a.m. a 7 a.m. – Enter Machu Picchu and enjoy the sunrise. 7 a.m. a 9 a.m. – Tour the Inca site accompanied by a guide. 9 a.m. a 10 a.m. – Enjoy the Inca City on your own. 10 a.m. a 1 p.m. – Tour Huayna Picchu. 1 p.m. a 2 p.m. – Enjoy the landscape of the Wonder of the World. How to handle the schedules in the Museum of Machu Picchu? 6 a.m. a 10 a.m. – Visit Machu Picchu with a guide and on your own..
12 a.m. a 1 p.m. – Have lunch and rest in Aguas Calientes. 2 p.m. a 4 p.m. – Visit the Site Museum. 10 a.m. a 12 a.m. – Visit the Site Museum. 12 a.m. a 1 p.m. – Lunch in Aguas Calientes. 1 p.m. a 5 p.m. – Visit Machu Picchu with a guide and on your own. Visit to Machu Picchu for 1 day – How to handle the schedules? The 1 day trip to Machu Picchu is very tight however it is not impossible. To achieve this the visitor must choose the ticket Machu Picchu Only – Afternoon Shift (from 12 am to 5.30 pm). This entry is flexible and allows entry from 11 a.m.
6 a.m. a 7.30 a.m. – Travel by bus from Cusco to Ollantaytambo. 7.45 a.m. a 9.15 a.m. – Travel by train from Ollantaytambo to Aguas Calientes. 10 a.m. a 11 a.m. – Travel by bus from Aguas Calientes to Machu Picchu. 11 a.m. a 3 p.m. – Visit to Machu Picchu in the afternoon shift. 3 p.m. a 3.30 p.m. – Travel by bus from Machu Picchu to Aguas Calientes. 4.20 p.m. a 6.10 p.m. – Train trip from Aguas Calientes to Ollantaytambo. 6.10 p.m. a 7.40 p.m. – Travel by bus from Ollantaytambo to Cusco. Visit to Machu Picchu for 2 days – How to organize the schedules? The 2-day trip to Machu Picchu is the ideal. To make the most of it, the visitor must choose the ticket Machu Picchu Only – Morning shift (from 6 am to 12 pm). Do you want to be in the Wonder of the World all day? Then you must also reserve the entrance of the afternoon shift for the same day (from 12 pm to 5.30 pm). 8 a.m. a 9.30 a.m. – Travel by bus from Cusco to Ollantaytambo. 10.30 a.m. a 12.10 p.m. – Travel by train from Ollantaytambo to Aguas Calientes. 12.30 a.m. a 2 p.m. – Break in hotel and lunch in Aguas Calientes. 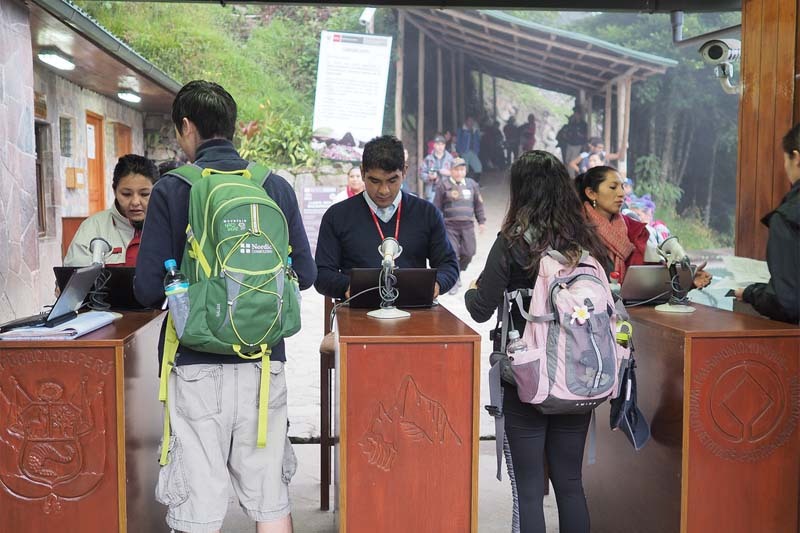 2 p.m. a 5 p.m. – Free afternoon to visit the town of Aguas Calientes. 5 p.m. a 8 p.m. – Visit to the hot springs of Aguas Calientes. 6 a.m. a 6.30 a.m. – Travel by bus from Aguas Calientes to Machu Picchu. 6.30 a.m. a 7 a.m. – Appreciate the natural dawn in the Inca City. 7 a.m. a 10 a.m. – Visit the Inca City. 10 a.m. – 12 p.m. – Visit to Machu Picchu on your own. 12 p.m. a 12.30 p.m. – Travel by bus from Machu Picchu to Aguas Calientes. 12.30 p.m. a 2 p.m. – Lunch in the town of Aguas Calientes. 3.20 p.m. a 5.10 p.m. – Travel by train from Aguas Calientes to Ollantaytambo. 5.10 p.m. a 6.40 p.m. – Travel by bus from Ollantaytambo to Cusco. Visit to Huayna Picchu for 1 day – How to organize the schedules? The 1 day trip to Huayna Picchu is very exhausting. To achieve this, the visitor must choose the ticket Machu Picchu + Huayna Picchu Group 2 (entrance to Waynapicchu from 10 am to 11 am). 4 a.m. a 5.30 a.m. – Travel by bus from Cusco to Ollantaytambo. 6.10 a.m. a 7.40 a.m. – Travel by train from Ollantaytambo to Aguas Calientes. 8 a.m. a 8.30 a.m. – Travel by bus from Aguas Calientes to Machu Picchu. 8.30 a.m. a 10.30 a.m. – Visit to the Inca City. 10.30 a.m. a 1.30 p.m. – Visit to the Huayna Picchu mountain. 1.30 p.m. a 2 p.m. – Visit the Inca site on your own. 2 p.m. a 2.30 p.m. – Travel by bus from Machu Picchu to Aguas Calientes. Visit to Huayna Picchu for 2 days – How to organize the schedules? The 2-day trip to Huayna Picchu is ideal for a pleasant visit. To enjoy it in the best way, the tourist must choose the ticket Machu Picchu + Huayna Picchu Group 1 (entrance to Waynapicchu from 7 am to 8 am). 7 a.m. a 8 a.m. – Join the Waynapicchu mountain. 8 a.m. 10 a.m. – Visit the mountain Huayna Picchu. 10 a.m. a 12 p.m. – Visit the Inca City of Machu Picchu. 12 p.m. a 1 p.m. – Visit to the Inca site on your own. 1 p.m. a 1.30 p.m. – Travel by bus from Machu Picchu to Aguas Calientes. 1.30 p.m. a 3 p.m. – Lunch in Aguas Calientes. Currently,there are two train companies to Machu Picchu: Peru Rail and Inca Rail. Both have different train services that depart at different times. Bus tickets can be purchased in the city of Cusco: av. Infancia 433 or in the same town of Aguas Calientes: Avenida Hermanos Ayar S / N.
There are two entry times to the Inca City: morning and afternoon shift. To stay all day you need to purchase both tickets on the same day. Does Machu Picchu have night shifts? Yes. To visit the Waynapicchu mountain in a single day, the visitor has to leave Cusco very early. The tourist must book the ticket Machu Picchu + Huayna Picchu in Group 2. In the afternoon, there is less crowding of people in Machu Picchu. If you want a more peaceful and quiet visit, it is best to choose this schedule. If you have free time in Aguas Calientes, you can visit the hot springs, the handicraft market or the waterfalls of Mándor. ← What are the new regulations in Machu Picchu?